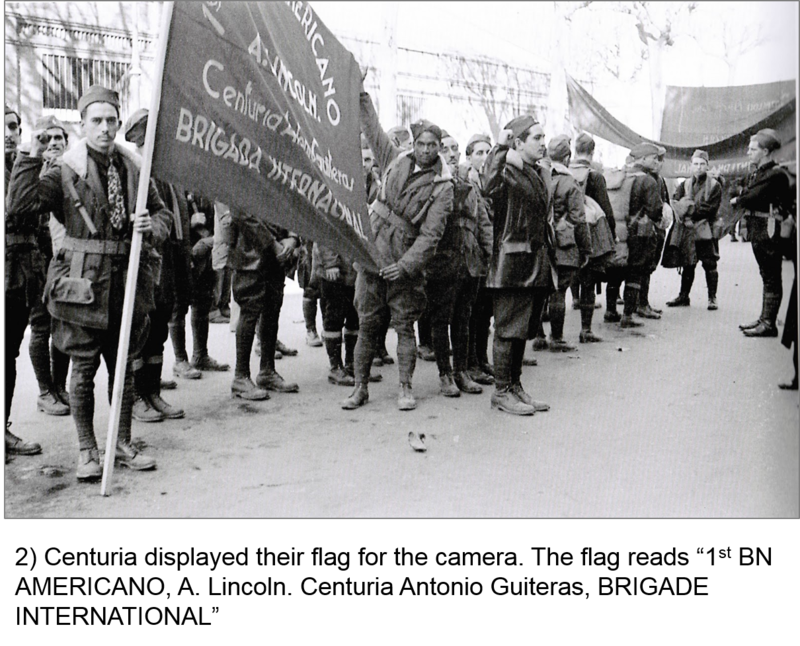 While recruitment for the Centuria Guiteras was conducted independently, the US Communist Party paid to equip and transport the unit to Spain. [vi] The first organized group of Guiteras volunteers sailed from New York aboard the Champlain on January 5, 1937. [vii] From Le Havre the volunteers took the boat train to Paris followed by another train to Perpignan on the French border. The next leg was a short bus ride over the border through the Pyrenees Mountains down to the town of Figueres. Leaving Figueres they again traveled by train along the coast to Barcelona finally arriving in Albacete. 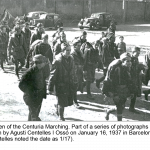 After formal enrollment in the International Brigades, the volunteers trucked out to the English-speaking training base. and those who had advanced past the burning tank were silhouetted. The First Company took the heaviest casualties and Rodolfo de Armas was one of the first. De Armas was hit in the leg and stopped to bandage the wound. He ignored Landeta’s suggestion to fall back for medical treatment. Momements later de Armas was struck in the head and killed. Eladio Paula Boloñas took command. [xiii] The Section began to dig in with shovels brought forward into no-man’s land. Later that evening the Battalion received orders to return to its original starting position. Click on the thumbnails below for full size images by the Catalan photographer Agusti Centelles I Ossó. *Alfonso González, Eugenio. b. October 19, 1904, Union de Reyes; Painter; AF; Served with the XV Brigade, Lincoln Battalion, Company 1, Section 3, Centuria Antonio Guiteras, later with the Spanish 24/59th Battalion. *Anceaume y Ramos, Alejandro. 33 years old; Listed military experience as a rifleman most likely in the Cuban Army; Truck Driver; Vice President of the Club Julio Mella; CP 1935; Sailed January 5, 1937 aboard the Champlain; Arrived in Spain on January 14, 1937; Served with the XV Brigade, Lincoln Battalion, Company 1, Centuria Antonio Guiteras; Wounded in action, Jarama, initially believed killed was severely wounded losing an eye. Rodolfo de Armas y Soto in Barcelona, January 1937. VALB/ALBA. *de Armas Soto, Rodolfo Ricardo Ramón. 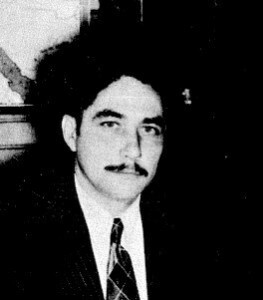 (Armas y Soto); b. Havana circa 1912; Student; Graduated from Veterinary School in 1935; Founder of Pro Ley y Justicai (Pro Law and Justice) and active in TNT and Joven Cuba; Arrested and imprisoned for his activities during a strike in February 1935; Some Prior military experience most likely in the Cuban military; Exiled to US; In NYC was active in Club Julio Antonio Mella; CP; Sailed January 5, 1937 aboard the Champlain; Arrived in Spain on January 14, 1937; Served with the XV Brigade, Lincoln Battalion, Company 1, Section 3, Centuria Antonio Guiteras, Section Leader; Killed in action February 23, 1937, Jarama. *Borges Aldama, Norberto. b. circa 1907, Havana, To the US 1928; Attended José Martí University (founded by Julio Antonio Mella which was later closed by the Machado regime); Domicile listed as Julio Mella Club, 5th Avenue and 116th Street, NYC; Tobacco Worker; Spanish Worker’s Club, YCL, Harlem Section and WPA Union; Sailed January 5, 1937 aboard the Champlain; Arrived in Spain on January 14, 1937; Served with the XV Brigade, Lincoln Battalion, Company 1, Section 3, Centuria Antonio Guiteras; Became Section Commissar after Landeta was injured in an accident; Fought at Jarama; Remained with Lincolns until May sent to hospital; Later served as an Instructor of recruits. *Bridon y Curbie de la Mercedes Gerardo, José. 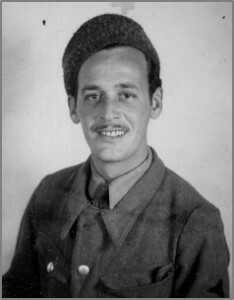 (José Bridón Barrón; Jose G. Bridon); Sanitary Worker; No party affiliation; Sailed January 16, 1937 aboard the Paris; Arrived in Spain on January 30, 1937; Served with the XV Brigade, Lincoln Battalion, Company 1, Section 3, Centuria Antonio Guiteras; After leaving Spain was held in a French Concentration Camp. *Brumet y Zurburan, Arsenio. (Arsenio Brunet); b. NYC; Cuban; Sailed February 6, 1937 aboard the Paris; Served with the XV Brigade, Lincoln Battalion, Company 1, Section 3, Centuria Antonio Guiteras; Killed in action date and place unknown. *Cárdenas, Jorge de Alberto de. 20 years old; ROTC; Aviation Mechanic; YCL and CP 1936; Served with the XV Brigade, Lincoln Battalion, Company 1, Centuria Antonio Guiteras; Killed in action February 1937, Jarama; Records indicate probably captured on route to front, may have deserted; other sources state killed in action February 23, 1937, Jarama. Corona Muro, Arturo. (“Coronita”); Cuban; Student; Domicile NYC; CP and CP of Cuba; 36 years old; Sailed January 16, 1937 aboard the Paris; Arrived in Spain January 30, 1937; Served with the XV BDE, Lincoln Battalion, Commander Co. 2, up to February 27; Rank Teniente; Deserted; Had returned by April 1938; Corona was accused of stealing money from a fundraiser for the FALB; Article published in the Daily Worker states he deserted, BDE records indicate same. Corona, Florintino Alejo. 36 years old; CP Cuba; Served with the XV Brigade, Lincoln Battalion; Company 2; Rank Teniente. Basilio Cueria y Obret in Spain, RGASPI Fond 545, Opis 6, Delo 588. *Cueria y Obret, Basilio. 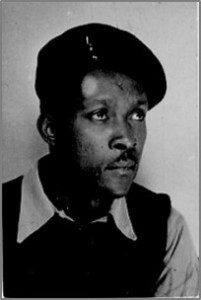 (Orbit, Obrit); b. June 14, 1898; Mariano Havana, Cuba; Afro Cuban, to the US 1920; Parents Jose and Juana Cueria Obret; Primary school education; 4 years prior military service in the Cuban Army; Married; Laborer and former Professional Baseball Player; CP April 1930 (1933), Club Julio Mella, organized the club’; Sailed January 20, 1937 aboard the Berengaria; Arrived in Spain on February 4, 1937; Served with the XV Brigade, Lincoln Battalion, Company 1, Section 3, Centuria Antonio Guiteras; Transferred to 46th Division “Campesinos,” 10th Brigade, Commander Special MG Company attached to Division HQ; Served at Jarama, Quijorna, Teruel, Lerida, Balaquer, and the Ebro Offensive; Likely returned directly to Cuba after leaving Spain; d. May 1959, Cuba. Delgado, Albert F. (Alberto; Adelberto); 25 years old; Prior military service most likely in the Cuban military; Mechanic; Joven Cuba; Sailed January 5, 1937 aboard the Champlain; Served with the XV Brigade, Lincoln Battalion; Company 1, Section 3, Centuria Antonio Guiteras; Transferred to Brigade Headquarters as an interpreter. Tomas Diaz Collado in Spain, RGASPI Fond 545, Opis 6, Delo 588. Diaz Collado, Tomas. (Callaco; Callado, Thomas; Crespo Galliano, Herman); b. Caney Oriente, Cuba, to the US 1924; Father Tomas y Francisca; Afro Cuban; 4 years military school in Havana, Cuba; Prior military service, December 1918 to March 28, 1924 in the Cuban Army, rank sub officer of Artillery; Married; Building and Road Construction; No party affiliation, joined CP in Spain; Sailed January 28, 1937 aboard the Aquitania; Arrived in Spain on February 7, 1937; Served with the XV Brigade, Lincoln Battalion, Jarama and Brunete; WIA Villanueva de la Canada; Returned to the US on September 19, 1938 aboard the DeGrasse. Friedle, Sylvester Frank. (Ray, “Chicago”); Cuban American (? ); Single; Seaman; CP 1937; Received Passport# 360283 on January 7, 1937 which listed his address as 3614 North Mozart Street, Chicago, Illinois (Mella Club, 1413 24th Avenue, NYC); 30 years old; Sailed January 9, 1937 aboard the Lafayette; Served with the XV BDE, Lincoln Battalion; Served at Jarama, and Brunete; Killed in action October 1938, Ebro Offensive. Garcia, Antonio. 27 years old; Prior military service likely in Cuban military; Blacksmith; Domicile Havana; Anti-Fascist; Served with the XV Brigade, Lincoln Battalion; Kitchen. *García, Ruperto. Served with the XV Brigade, Lincoln Battalion, Company 1, Section 3, Centuria Antonio Guiteras. Godoy Leal,Juan. 44 years old; Prior military service; Barrel Maker; Anti-Fascist; Sailed January 5, 1937 aboard the Champlain; Served with the XV Brigade, Lincoln Battalion. *Gómez Oliva; Ricardo. b. June 9, 1900, Pinar del Rio, Cuba, to the US 1926; One year secondary school; Prior military service likely Cuban military; Single; Factory Metal Worker; Club Antonio Julio Mella, Founding member and Treasurer; CP August 1933; Sailed January 5, 1937 aboard the Champlain; Arrived in Spain January 15, 1937; Served with the XV Brigade, Lincoln Battalion Company 1, Section 3, Centuria Antonio Guiteras, Group 1, Group Commissar; Wounded in action on February 27, 1937; Later served in a different unit within the Brigade; Wounded in action July 20, 1937 at Brunete; Rank Soldado. Ricardo Gomez Oliva in Spain, RGASPI Fond 545, Opis 6, Delo 594. *González Carrea, Armando. 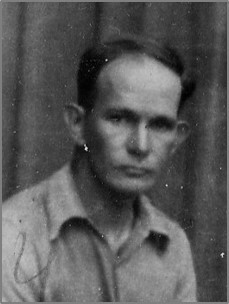 b. December 3, 1911, Matamgas; Prior military service likely in Cuban military; Machinery Mechanic (Estivador? ); Joven Cuba; Non-CP; Sailed January 5, 1937 aboard the Champlain; Served with the XV Brigade, Lincoln Battalion, Company 1, Section 3, Centuria Antonio Guiteras; Wounded in action, Jarama. González, Armando. 34 years old; Prior military service; Chauffer; American Anti-Fascist. Granzio Robles, Emilio. (Granizo); Cuban; Sailed January 16, 1937 aboard the Paris; Served with the XV BDE, Lincoln Battalion; Killed in action during the assault on Pingarron on February 27, 1937, Jarama. Gueira, José. Sailed January 5, 1937 aboard the Champlain; Served with the XV Brigade, Lincoln Battalion, Company 1, Section 3 the Centuria Antonio Guiteras. Hernández y Valor, Juan Antonio. 32 years old; Prior military service likely in Cuban military; Stone Mason, Club Julio Mella; Sailed January 5, 1937 aboard the Champlain; Served with the XV Brigade, Lincoln Battalion; Wounded in action. *Hernández Rodríguez, Óscar. 28 years old; No military experience; Single; Typewriter mechanic; Club Julio Mella; CP and YCL both 1930; Former Secretary of the Communist Youth of Cuba; Domicile 1720 Madison Avenue, NYC; Sailed January 20, 1937 aboard the Berengaria; Arrived in Spain February 4, 1937; Served with the XV Brigade, Lincoln Battalion, Company 1, Section 3, Centuria Antonio Guiteras; Wounded in action, Jarama; Later transferred to Brigade Headquarters an interpreter; Transferred to the 46th Division, “Campesinos”; Commissar. *Hernández Iglesias Lucas, Pedro Lucas. b. NYC or Cuba; Railroad worker; Sailed January 16, 1937 aboard the Paris; Served with the XV Brigade, Lincoln Battalion, Company 1, Section 3, Centuria Antonio Guiteras; Adjutant for the Section; Killed in action on February 23, 1937, Jarama; (alternate date February 27, 1937). *Landeta Valdivia, Juan. (John; Valdivia Landeta, Juan); 22 years old; Cuban American; Attended Worker’s School in New York; No military experience; Single; Student; Domicile NYC; CP 1936, unit organizer, was in movement against Machado in Cuba in 1936, and member of Anti-Imperialist organization in Cuba, briefly imprisoned; Domicile 523 W.143rd, NYC; Arrived in Spain on January 14, 1937; Served with the XV Brigade, Lincoln Battalion, Company 1, Section 3, Centuria Antonio Guiteras, Jarama and Brunete; Section Commissar; Later transferred to the 46th Division, 10th Brigade Mixed, Estado Mayor; survived the war and died prior to 1989. Madurga, Fernando Oliva. 39 years old; Suffered an accident in May and was hospitalized; No military experience; Small businessman and Laborer; Anti-Fascist; Arrived in Spain on February 4, 1937; Served with the XV Brigade, Lincoln Battalion; Wounded in action Jarama; Medical commission declared him fit for rear area work and he was assigned to Albacete in December 1937. *Maldonado Pérez, Miguel. (Maldonado, Miguez Menendez; Maldanado, Menendez, Miguel); Cuban; CP; Served with the XV Brigade, Lincoln Battalion, Company 1, Centuria Antonio Guiteras; Killed in action February 23, 1937 (Alternate dod February 27, 1937, Jarama). *Martínez Fernández, Isidoro. Sailed aboard the Órbita; Arrived in June 1937Served with the XV Brigade, Lincoln Battalion, Company 1, Section 3, Centuria Antonio Guiteras; Later with the 2 B. FzBl. ; Rank Cabo. *Mas Ferrer, Rolando. Served with the XV Brigade, Lincoln Battalion, Company 1, Section 3, Centuria Antonio Guiteras. *Navarro Cornejo, Aquilino. (Avelino Navarro Conejo; Aquilino Navarro Cornejo); Cuban or Spanish American; Single; Steel Worker; CP 1934; Domicile 1904 Penn Place N. E. Canton, Ohio; Arrived in Spain on February 11, 1937; Served with the XV Brigade, Lincoln Battalion, Company 1, Section 3, Centuria Antonio Guiteras; Killed in action February 27, 1937, Jarama. 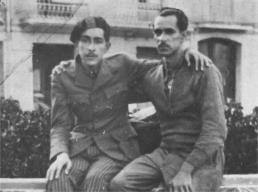 Eladio Paula Bolanos and his brother Aurelio Paula Bolanos in Spain. Ancestry. *Paula Bolaños, Eladio. (Yayo”; Sail under Eladio Ruiz? ), b. December 14, 1916, Tampa, Florida; Cuban American; Plumber, Box Maker and Printer; Domicile 504 Randolph Street, Philadelphia, Pennsylvania and he also listed the Julio Mella Club, 1413 Fifth Avenue, NYC; Sailed January 5, 1937 aboard the Champlain; Arrived in Spain on January 14, 1937; CP and Joven Cuba; Served with the XV Brigade, Lincoln Battalion, Company 1, Section 3, Centuria Antonio Guiteras; Took command of the Section after the death of de Armas Sota; later transferred to Brigade Estado Mayor as an Interpreter, subsequently wounded; Rank Soldado; Attended Officer Training School January 1938, Returned to the US on December 31, 1938 aboard the President Harding; WWII Merchant Marines; d. February 27, 2003, Fort Lauderdale, Florida; His Brother Aurelio was killed in action in August 1938. *Rivas y Betancort, Daniel. (Ribas); b. September 5, 1910, Rodas; Cuban American; Single; Waiter; CPUSA 1934; Domicile 315 6th Street or 778 Prospect Avenue; NYC; Sailed January 5, 1937 aboard the Champlain; Arrived in Spain on January 12, 1937; Served with the XV Brigade, Lincoln Battalion, Company 1, Section 3, Centuria Antonio Guiteras; Wounded in action at Jarama; Appointed hospital administrator for Cuban volunteers in Murcia for three months; Rejoined the XV Brigade and fought at Quinto and Belchite where he was again wounded; Killed in action April 1938 during the Retreats. *Rivero Villanueva, Luis. (Rivero, J.? ); 23 years old; Prior military service likely in Cuban military; Business man; Joven Cuba; Sailed January 5, 1937 aboard the Champlain; Served with the XV Brigade, Lincoln Battalion, Company 1, Section 3, Centuria Antonio Guiteras; WIA Jarama; Noted as the first man to leave Cuba to defend Spain. *Rodríguez Betancourt, Antonio. Served with the XV Brigade, Lincoln Battalion, Company 1, Section 3, Centuria Antonio Guiteras; Killed in action February 23, 1937, Jarama. *Rodríguez Farragut, Gustavo. 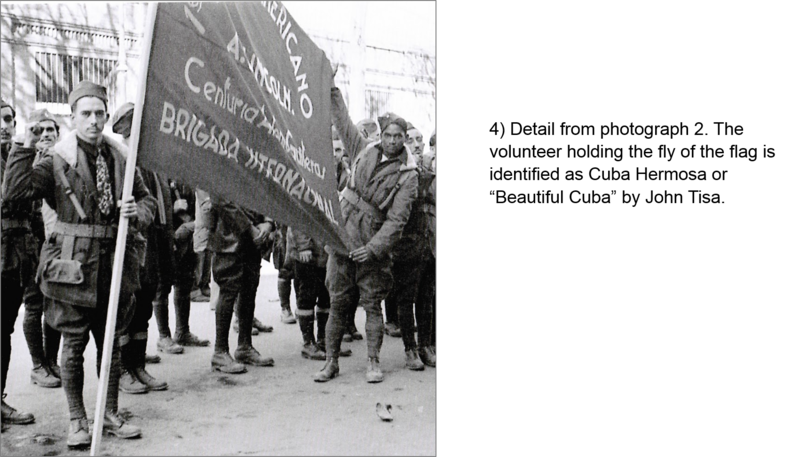 35 years old; Cuban American; Member Elevator’s Union, Anti-Fascist, Former CP member; Arrived February 10, 1937; Served with the XV Brigade, Lincoln Battalion, Company 1, Section 3, Centuria Antonio Guiteras, Group 3, Group Commissar; Served at Jarama and Brunete; WIA July 24, 1937 Brunete; In hospital until September 1937; Later with Service Sanitaire as an interpreter; Repatriated January 1938. Rodríguez, Lorenzo. 26 years old; Cuban American;; Prior military service likely in Cuban military; Single; Driver or Chauffer; Domicile 1023 Longwood Avenue, Bronx, New York and Medreno #16, Mariano, Havana, Cuba; Joven Cuba and CPUSA 1937; Sailed January 5, 1937 aboard the Champlain; Arrived in Spain January 14, 1937; Served with the XV Brigade, Lincoln Battalion, Wounded in action February 27, 1937 Jarama; Returned to unit in March; Transferred to Brigade Auto Park; Wounded July 6, 1937 during Brunete; In hospital until August 8, 1937 then transferred to the Albacete Auto Park; Recommended for repatriation in January 1938; WWII US Armed forces. *Rufo, Ángel. 22 years old; Prior military service likely in Cuban military; Laborer; Anti-Fascist or YCL; Sailed January 5, 1937 aboard the Champlain; Served with the XV Brigade, Lincoln Battalion, Company 1, Section 3, Centuria Antonio Guiteras, Killed in action February 1937, Jarama. Seaman from Chile, Sterling Rochester, Artemo Luna, Juan Santiago, and Jack Shirai, Jarama 1937. *Soler y Tarafa, Óscar. b. June 29, 1895, Tampa, Florida or Havana; Cuban American; Attended a prep school, earned his BA in college and attended Dental school for 2 years; Single; Nurse; Domicile NYC; Club Julio Mella Sailed January 16, 1937 aboard the Paris; Arrived in Spain January 27, 1937; Served with the XV Brigade, Lincoln Battalion, Company 1, Section 3, Centuria Antonio Guiteras; Later with Service Sanitaire, Evacuation, as an Interpreter; Rank Sargento; Served at Jarama, Brunete, Quinto, Belchite, Fuentes de Ebro, Villanueva del Pardillo, Pozo Blanco and Balcazar; WIA February 20, 1937, Jarama, July 12, 1937 Brunete, Belchite superficial wound, and October 26, 1937 Fuentes de Ebro; Last unit Medical Clinic No. 17; Repatriated. Albert Solis Mesa in Spain, RGASPI Fond 545. Opis 6, Delo 601. Solis Mesa, Alberto. (Albert); b. August 7, 1909, Havana, Cuba, To the US 1933; Cuban American; Married; Student; Domicile 1413 Fifth Avenue, NYC; Director Julio Mella Club inNYC, Anti-Fascist, joined CP of Cuba in Spain; Spanish CP; Sailed January 16, 1937 aboard the Paris; Arrived in Spain January 27, 1937; Served with the XV Brigade, Lincoln Battalion, Company 2; wounded in action(?) at Jarama, Brunete, Quinto and Belchite; Later transferred to 35th Division. Appointed Responsible for Americans in Pontones; Rank Soldado; Member of the Committee of Ex-Combatants; WWII US Armed Forces. Sotolongo, Jose. 35 years old; Cuban American; Painter; Domicile 102 E 103rd Street, NYC; Club Julio Mella; Anti-Fascist; Arrived in Spain February 10, 1937; Served with the XV Brigade; Lincoln and Lincoln-Washington Battalion; Served at Jarama, Brunete, and the Aragon; Repatriated January 1938; WWII Armed Forces. Tisa, John. b. April 6, 1914, Philadelphia, Pennsylvania; Mixed Cuban and Italian descent; Attended Brockwood Labor College; Single; Writer; YCL and CP 1935; Organizer YCL; Domicile 214 Benson Street, Camden, New Jersey; Sailed January 5, 1937 aboard the Champlain; Arrived in Spain on January 13, 1937; Served with the XV Brigade, Lincoln Battalion, Co. 1, Section 3 Centuria Guiteras; Later with Company 2; Was selected for the Historical Commission and helped publish the Book of the XVth Brigade; Later with Commissariat Service and Editor of The Volunteer; Served at Jarama; Returned to the US on April 15, 1939 aboard the George Washington; WWII Armed forces; d. December 12, 1991. John Tisa. Photograph courtesy Tisa family. *Triana y Quintana, Ricardo. (Richard); b. circa 1913; Prior military service; Painter; Domicile NYC; Anti-Fascist, Club Julio Mella; Sailed January 21, 1937; Arrived February 6, 1937; Served with the XV Brigade, Lincoln Battalion, Company 1, Section 3, Centuria Antonio Guiteras; WIA March 1 (15), 1937 hit in right shoulder, Jarama; Later with another unit within the Brigade and was WIA Aragon. Arana, Eduardo. 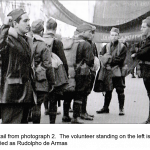 Basque emigrant from Peru; Served with the XV Brigade, Lincoln Battalion, Company 1, Section 3, Centuria Antonio Guiteras; brother of Guillermo Arana. Arana, Guillermo. Basque emigrant from Peru; Served with the XV Brigade, Lincoln Battalion, Company 1, Section 3, Centuria Antonio Guiteras; brother of Eduardo Arana. Castro, Esmeraldo. (Leoane, Louis); b. March 16, 1914, Caguas, Puerto Rico; Puerto Rican or Cuban American, Secondary Education; Student; No Party; Domicile NYC gave the Jullio Mella Club at 314 5th Avenue as his address; Served with the XV Brigade, Lincoln Battalion, Jarama, Brunete and Aragon; WIA; Released for repatriation September 23, 1937; In hospital Pontones until November 14, 1937; Transferred to Albacete Auto Park; Repatriated January 1938; Returned to the US on May 26, 1938 aboard the Washington; Domicile on return 12 E 110 Street, NYC; WWII US Army, joined May 1941; d. April 1992.Slated for repatriation in September. Dominguez, Bienvenido. 36 years old; Prior military service likely in Cuban military; Painter; Anti-Fascist; Sailed January 5, 1937 aboard the Champlain; Served with the XV Brigade, Lincoln Battalion. Fernández Artucio, Hugo. Uruguayan living in NY; Served with the XV Brigade, Lincoln Battalion, Company 1, Section 3, Centuria Antonio Guiteras. Antonio Pacheo Padre from Vengo del Jarama, Glorias y Horrores de la Guerra. Pacheo Padre, Antoinio. (Padro); Puerto Rican, 25 years old; Passport# 12152 Purerto Rico series listed his address as San Juan Puerto Rico; No prior military service; Journalist; Anti-Fascist; Sailed January 20, 1937 aboard the Berengaria; Served in the XV Brigade, Lincoln Battalion, Co. 1, Section 1; May have served with the unit at the front; Listed as missing after February 27th; Transferred to the 46th Division, “Campesinos”; Survived. Roel Jimenez, Carlos. b. November 4, 1904, Monterey, Mexico, to the US June 1915; Elementary school education; Single; Metalworker; Domicile McKeesport, Pennsylvania (family in San Antonio, TX); Served with the XV Brigade, Lincoln Battalion, Company 1, Section 3, Centuria Antonio Guiteras. Carlos Roel Jimenez in Spain, RGASPI Fond 545, Opis 6, Delo 619. Roldan, Roberto. (Lasús, Norbert Roldán); 33 years old; Puerto Rican; Prior military service in US Army; Chauffer; CP; Served with the XV Brigade, Served as a Brigade Interpreter. 1) Potential Guiteras volunteers who Sailed January 5, 1937 aboard the Champlain. Manuel y Rodriguez, Fernando Sabas. Cortina Pérez, Armando. 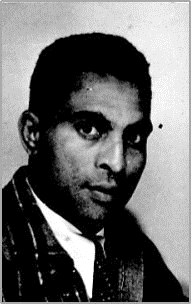 AfroCuban from New York; Stated “Simply doing his antifascist duty.” Wounded at Jarama. Feliciano Matos, Mones. Union member from 1929; CP 1929; Arrived March 4. Gamiz y Cabrera, Domingo. b. August 4, 1892, Havana, Cuba; Afro Cuban; Elementary Education; Served in the Cuban Army, 4 years (1913-17), Coastal Artillery, Medic, rank Sergeant; Married; Cook member Hotel and restaurant workers union and Former baseball player with the Almendares Club; Club Julio Antonio Mella, CP Cuba 1930 and Spanish CP; Domicile NYC; Sailed January 23, 1937 aboard the Champlain; Arrived in Spain February 2, 1937; Served with the Artillery, 11th Regiment, 2nd Group, 14th Battery (John Brown Battery), 155mm Guns, as a cook and medic; in January 1939 he was in Villanueva de Castellon awaiting repatriation; May have served in the XV Brigade, Lincoln Battalion, Guiteras Section where he was wounded in action. Angel Garcia in Spain, RGASPI Fond 545, Opis 6, Delo 593. Garcia Gomez, Angel. b. December 19, 1904, Santiago, Cuba, to the US 1925 (illegal immigrant? 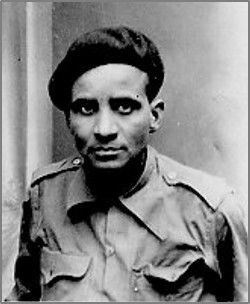 ); Afro-Cuban American; Primary school education; Single; Cook and Seaman; YCL and CP 1937; Domicile NYC; Arrived in Spain February 17, 1937; Served with the Vth Army Corps, 1st Regiment de Tren; 3rd Squadron; Rank Sargento; later demoted. Magranet Iglesia; Juan. (Magraner Iglesias); b. Havana, Cuba; Cuban American; 31 years old; Domicile 80 5th Avenue, NYC; Food worker’s union; One of the founders of the Club Julio Mella CPUSA; Arrived in Spain April 22, 1937 or March 30, 1937; Served with the XV BDE, Driver; later 2nd Group of Artillery, 40 Division, Anti-tank battery; and 124th Brigade Mixed, Artilleryman and Driver; Rank Soldado; Notes as one of the last of the 125 members recruited within the Mella club to arrive in Spain. 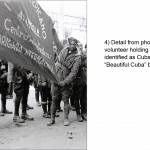 Juan Magraner in Spain, cubanosenlaguerracivil.blogspot. Paula Bolaños, Aurelio. (“Kuki”); b. December 30, 1904, Tampa, Florida; Cuban American; Elementary School education; No military experience; Married (separated for 6 years); Tobacco Worker; CP 1932; Domicile 528 West 158th Street, NYC (this was his wife’s address), and 504 Randolph Street, Philadelphia, Pennsylvania (this was his brother’s address where he actually lived); CP May 1932; Sailed February 1938; Arrived in Spain February 18, 1938; Served with the XV Brigade, Lincoln-Washington Battalion, Company 3, Rank Cabo; Killed in action August 1938, Corbera Church, Ebro Offensive; Brother of Eladio and Jose Manuel. Paula Bolaños, José Manuel. Brother of Aurelio and Eladio. No verification that he served in Spain. Rodríguez, Rolando. Sailed January 20, 1937 aboard the Berengaria. 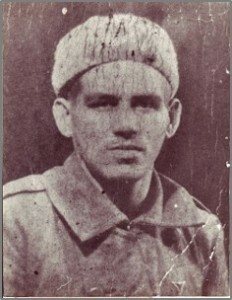 Possibly Rodríguez Arias, Rolando who was killed in action listed in Cuba en España. Santana, José Rodríguez. 22 years old; Worker; Domicile NY; Sailed January 16, 1937 aboard the Paris; Wounded in action, Jarama. 3) Potential Guiteras volunteers identified in Denise Urcelay-Maragnès, La Leyenda Roja. Cruz, John. Spanish; Sailed January 20, 1937 aboard the Berengaria. Fidias Bueno. G. Ecuadorian; Sailed January 20, 1937 aboard the Berengaria; Listed in Vera Jiménez, Cubanos en la Guerra Civil Española, Cuba en España notes killed. Manuel Céspedes, Felipe. (Felipe Martínez,Jorge); Puerto Rican; Served with the 86th Brigade, 20th Battalion and was killed in action on April 17, 1937 at Cordoba; was not part of the Lincoln Battalion. Pérez, Maldonado, García. Killed in action, Jarama possibly Miguel Maldonado Pérez listed above. Rodriguez, José. Spanish; Sailed January 20, 1937 aboard the Berengaria. There is a José Cobos Rodriguez listed as having served with the 63rd Brigade as a Soldado; and a José Adrias Rodriguez; Not sure if either sailed on that date (RGASPI). Rodriguez, Óscar. Spanish; Sailed January 20, 1937 aboard the Berengaria;4) Potential Guiteras volunteers from other sources. Rojos Valdez, Felipe. (Felipe Rodriguez Valdez, Rajas); 33 years old; b. Havana, Cuba; Cuban; Cigar Maker; Domicile, Tampa, Florida; Sailed January 9, 1937 aboard the Lafayette; Returned to the US on September 24, 1938 aboard the President Harding. [i] The Centuria Antonio Guiteras was named in honor of the Cuban politician Antonio Guiteras y Holmes (1906-1935). Guiteras was a leading politician in Cuba during the 1930s. As a student leader he worked closely with Julio Antonio Mella. Guiteras was appointed Minister of the Interior under President Dr. Ramón Grau San Martín and initiated numerous reforms including a minimum wage, labor regulations, academic freedom, and nationalization of important sectors of the economy. Guiteras advocated an ideology of violent confrontation of authority but remained an advocate of Democracy. After the overthrow of Grau’s administration Guiteras became more radical. He founded Joven Cuba (Young Cuba). He died on May 8, 1935 in Matanzas, under mysterious circumstances. [ii] The Club Julio Mella formed in 1931 was named in honor of Julio Antonio Mella (25 March 1903-10 January 1929), a founder of the “international” Cuban Communist Party and the Federación Estudiantíl Universitaria (FEU). Mella studied law at the University of Havana until he was expelled in 1925. Mella was assassinated in Mexico in 1929. [iii] Denise Urcelay-Magranès, La Leyenda Roja, Los voluntaries Cubanos en la Guerra civil Española, (León: Lobo Sapiens, 2011), 42. [iv] Ana Suarez Diaz, ““75 Aniversario de la Muerte de Antonio Guiteras, 1935-2010, La “Centuria Guiteras ” De Nueva York al Frente de Jarama (1937),” Caliban, Revista Cubana de Pensamiento e Historia, April, May, June, 2010: 31. [v] Volunteers noted membership in a wide range of other political organizations including: el Partido comunista de Cuba (PCC) [Cuban Communist Party]; Joven Cuba [Young Cuba] a Cuba based political organization founded by Antonio Guiteras that expressed a strong anti-imperialist and anti-capitalism agenda; the Organización Revolucionaria Cubana Antimperialista (ORCA) [Cuban Revolutionary Anti-Imperialist Organization], a New York based group established in 1935; ORCA’s founders included Rodolfo de Armas, Aurelio Paula Bolonas, both of whom volunteered and died in Spain, and Jose Manuel. Others included el Partido Revolucionario cubano (Auténticos) PRC-A, Izquierda Revolucionaria (IR), and Partido Agrario Nacional (PAN). Gerardo Machado y Morales (September 28, 1871-March 29, 1939) was a general of the Cuban War of Independence and President of Cuba from 1925 to 1933. In 1925 General Machado succeeded Dr. Zayas as President. In 1933 attempted to overturn the Constitution and ran unopposed for a second term in 1928; significant unrest eventually forced out of office in 1933; spent his remaining years in exile in the US. 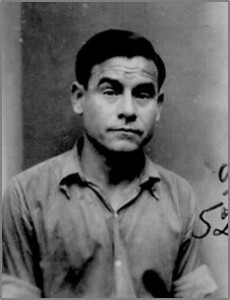 ; Fulgencio Batista (January 16, 1901-August 6, 1973) took part in the 1933 Revolt of the Sergeants that overthrew the authoritarian rule of Gerardo Machado. Batista then appointed himself chief of the armed forces, with the rank of Colonel, with effectively control of the five-member Presidency. In 1940 Bautista was elected president for a four year term. When his choice of successor for the presidency was defeated he took control by military coup. In 1952 Batista again ran for and was elected President. He ran the country until his regime was overthrown by Castro’s forces. In the aftermath of the Cuban revolution Batista went into exile first in the Dominican Republic and later in Portugal and Spain0. He died of a heart attack and was buried in Spain. 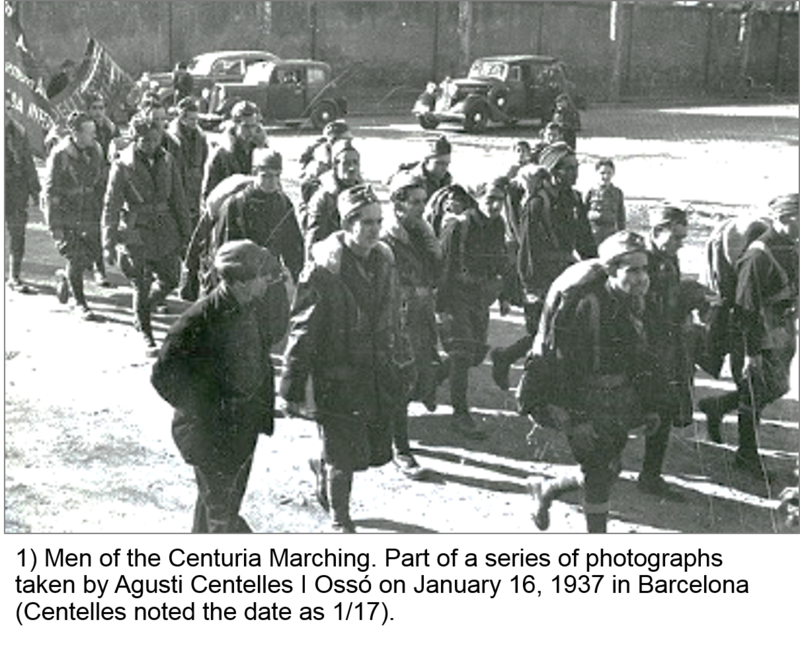 [vi] Initial Guiteras volunteers received identical Army surplus uniforms and wool-lined leather coats as other Lincoln volunteers. 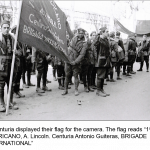 See the photographs accompanying “Jarama Series: Parades in Barcelona,” The Volunteer, Blog, January 5, 2016. [vii] Veterans of the Abraham Lincoln Brigade, Sail List; Urcelay-Magranès. La Leyenda Roja, 43. Indicates that French records state the ship actually sailed on January 3, 1937. [viii] HQ Company 1 (undated) Sandor Voros Spanish Civil War Collection, Series 2, The XVth International Brigade Records, Box 3, Folder 31, Adelphi University Archives and Special Collections, Garden City, NY. [x] Roster Notes, Co. 1, undated, Sandor Voros Spanish Civil War Collection, Series 2, The XVth International Brigade Records, Box 3, Folder 31, Adelphi University Archives and Special Collections, Garden City, NY.The document is a hand written note that provides updates to the roster for Company 1 from February 15, 1937. While the document is undated it was likely written not later than February 24, 1937. It contains the following updates about the third section:Sect 3 Cuban – Re[illegible] to Brigade HQ as interpreter. . .Sect 3 Cuban – Paula – transferred to Brigade HQ as interpreter, subsequently wounded – in hospitalSect 3 Cuban – Delgado, to Brigade HQ as interpreter, also Hernandez, J. [xi] John Tisa, Recalling the Good Fight, An Autobiography of the Spanish Civil War; (Massachusetts: Bergin and Garvey Publishers, 1985), 25. 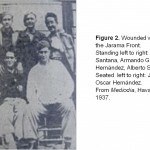 [xii] James D. Fernández, “Spaniards and Latinos in the International Brigades,” The Volunteer, provides a section from Antonio Pacheco Padró, Vengo del Jarama: Glorias y Horrores de la Guerra, (San Juan, Puerto Rico: Talleres Tipograficos Baldrich, 1942),60-61. [xiii] Fernando Vera Jiménez, “Cubanos en la Guerra Civil Española. La presencia de voluntarios en las Brigadas Internacionales y el Ejército Popular de la República,” Revista Complutense de Historia de America, 25 (1999): 309. [xiv] The following volunteers are identified as having been killed on February 23rd: de Armas Soto, Rodolfo Ricardo Ramón; Cárdenas, Jorge de Alberto de; Hernández Iglesias Lucas, Pedro Lucas; Maldonado Pérez, Miguel; and Rodríguez Betancourt, Antonio.The following three volunteers are identifies as having been killed on February 27th: Granzio Robles, Emilio; Guijarros, Carlos; and Navarro Cornejo, Aquilino.The following two volunteers are identified as having been killed and are tentatively listed: Rufo, Ángel (Jarama no date); and Brumet y Zurburan, Arsenio (date and place unknown).The following volunteers are identified as having been wounded during the Jarama Campaign: Anceaume y Ramos, Alejandro (Jarama no date); Gómez Oliva; Ricardo (February 27); Gamiz y Cabrera, Domingo (Tentative Jarama no date); González Carrea, Armando (Jarama no date); Hernández y Valor, Juan Antonio (no date); Hernández Rodríguez, Óscar (Jarama no date); Madurga, Fernando Oliva. (Jarama no date); Paula Bolaños, Eladio (Jarama no date); Rivas y Betancort, Daniel (Jarama no date); Rivero Villanueva, Luis (Jarama no date); Rodríguez, Lorenzo (Jarama February 27); Soler y Tarafa, Óscar February 20); Solis Mesa, Alberto. (Jarama no date); Triana y Quintana, Ricardo (Jarama either March 1st or 15th).This list is significantly smaller in wounded than the 10 dead and 31 wounded between late February and April noted by Suarez Diaz, “75 Aniversario de la Muerte de Antonio Guiteras, 1935-2010, La “Centuria Guiteras ” de Nueva York al Frente de Jarama (1937),” De New York in front of Jarama (1937),” 38. [xv] Vera Jiménez, “Cubanos en la Guerra Civil Española. La presencia de voluntarios en las Brigadas Internacionales y el Ejército Popular de la República,” 295-321. [xvi] James Hawthorne. “Cubans and Americans in Spain.” Noon, Havana, May 5, 1937, p. 13. Cited in Suarez Diaz, “75 Aniversario de la muerte de la Muerto de Antonio Guiteras , 1935-2010, The “Centuria Guiteras ” De New York in front of Jarama (1937),” 39. [xvii] Suarez Diaz, “75 Aniversario de la Muerte de Antonio Guiteras, 1935-2010, La “Centuria Guiteras ” de Nueva York al Frente de Jarama (1937),” 40. Homer Meruelos Commanded the Company and Florentino Ortiz served as the Company Commissar. 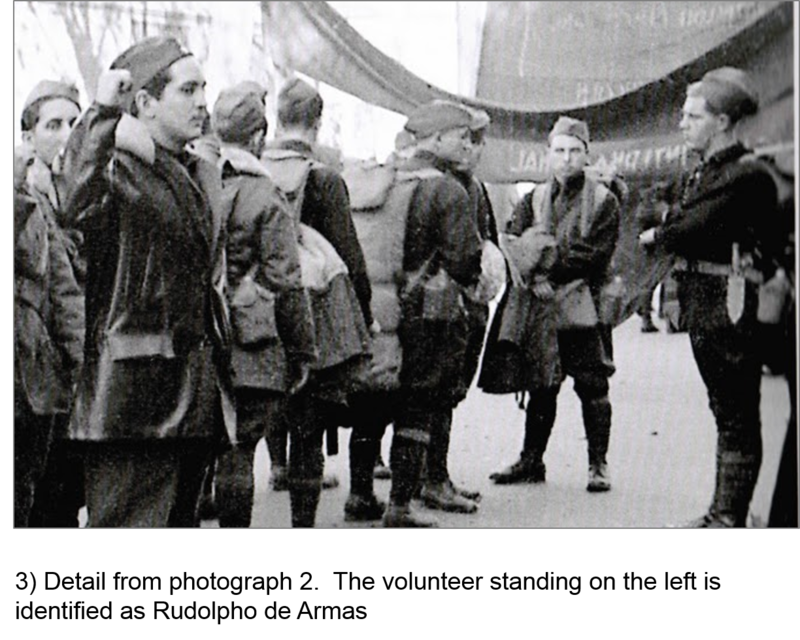 James D. Fernández, “Spaniards and Latinos in the International Brigades,” The Volunteer. Abraham Lincoln Brigade Archives. Suarez Diaz, Ana. “75 Aniversario de la Muerte de Antonio Guiteras, 1935-2010, La “Centuria Guiteras ” de Nueva York al Frente de Jarama (1937),” Caliban, Revista Cubana de Pensamiento e Historia, (April, May, June, 2010).Vera Jiménez, Fernando. “Cubanos en la Guerra Civil Española. La presencia de voluntarios en las Brigadas Internacionales y el Ejército Popular de la República,” Revista Complutense de Historia de America, 25 (1999), 295-321. Junquera, Naltalia, “The Brigadista Was Cuban,” El País, March 1, 2010, English Translation. Alfonso Bello Alberto and Juan Pérez Diaz, Cuba en España, Havana: Ciencias Sociales, 1990. Urcelay-Magranès, Denise. La Leyenda Roja, Los voluntaries Cubanos en la Guerra Civil Española, León: Lobo Sapiens, 2011. Veterans of the Abraham Lincoln Brigade (VALB), Sail List. Great post, Chris and this will be a bookmarked reference now…. Excellent article! 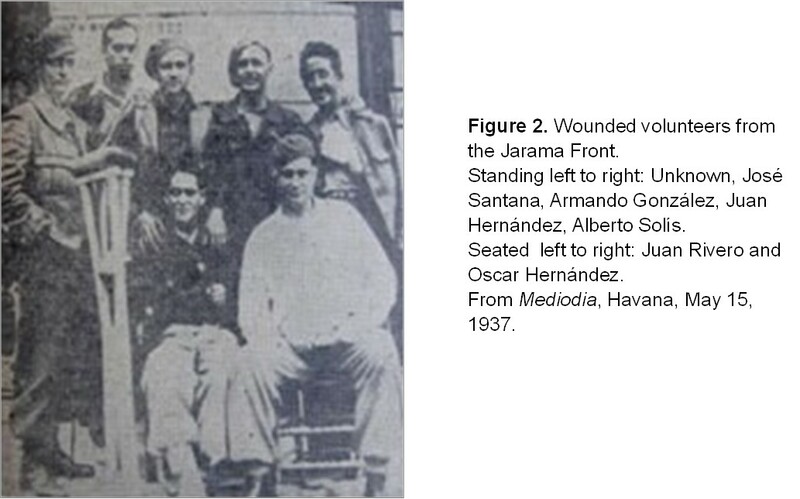 We will like to clarify that some of the brigadists mentioned were born in Puerto Rico: Esmeraldo Castro (his brother Luis M.Castro was wounded in Jarama); Bienvenido Domínguez (Tom Mooney MGC); Roberto Roldán (real name Norberto Roldán Lasús- Brigade interpreter in Morata de Tajuña); Antonio Pacheco Padró (photo is incorretly identified-was in the Canadian section and wounded in Jarama); Felipe Manuel Céspedes (real name Felipe Martínez Jorge,went to Pozo Blanco, not Jarama). 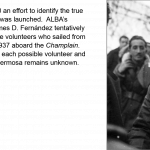 Also in Jarama, Lincoln, Co. 1 was the Puerto Rican Felipe (Philip) Rodríguez.Two other Puerto Ricans were at Jarama in other brigades and companies: Pedro Pabón, Rubén Gotay. If you need the sources please contact us . José A. Ortiz Carrión & Teresita Torres Rivera. Thank you both for your feedback and corrections. We have incorporated it into an updated on the post. Chris Brooks, I think this is a great work. It´s fascinating to see that one´s efforts are of interest and useful for others. The Centuria Guiteras is practically unknown in Cuba; even in texts related to our participation in the Spanish Civil War, these mostly interested in the Cuban COmmunist Party´s recruitment in the Island. The Cuban exile community of these years in NY is another matter usually overlooked by History,and still it has been my sole interest so far. Therefore this work has great merits, first hand information on both matters, making it difficult to continue ignoring this reality. I personally thank you very much, and will be glad to help if I have new information. I suppose you have seen my book Escapé de Cuba. El el exilio neoyorquino de Pablo de la Torriente Brau (1935-1936) a copy of which I believe I left at Tammiments´ years ago. At this moment, Batista was appointed Sargent chief of the Army by proposal of Sergio Carbó, one of the Five-members of the government. More or less weeks after, he was legally given rank of Colonel, Chief of the Army.